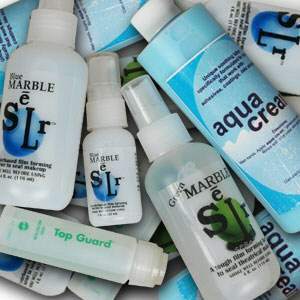 a water based alternative to the tougher Green Marble Sealer Spray, excellent sealer for those with more sensitive skin or who have negative reactions to alcohol based products. a water based film forming mist specially developed as a makeup sealing or setting spray with a truly matte finish. HiDef Matting Spray /120 ml. a topical spray for minimizing perspiration under prosthetic appliances.